Presented by Georgia CTSA Clinical Research Centers and Emory Healthcare Medical Lab. 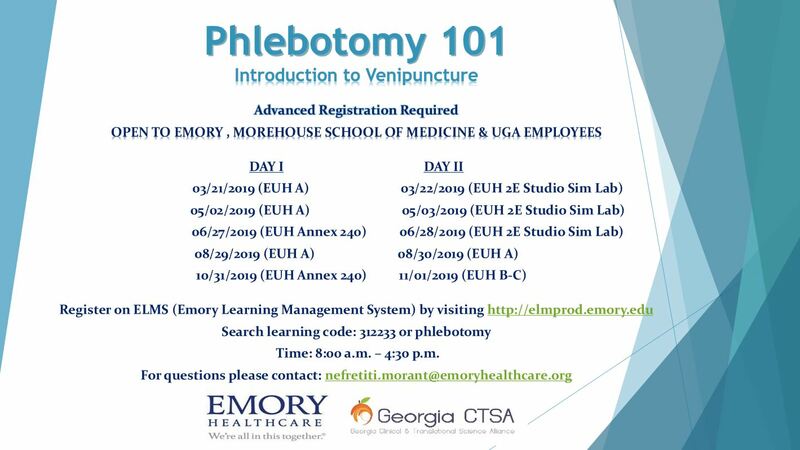 Open to all Emory, Morehouse School of Medicine, and University of Georgia employees. Advanced registration required.